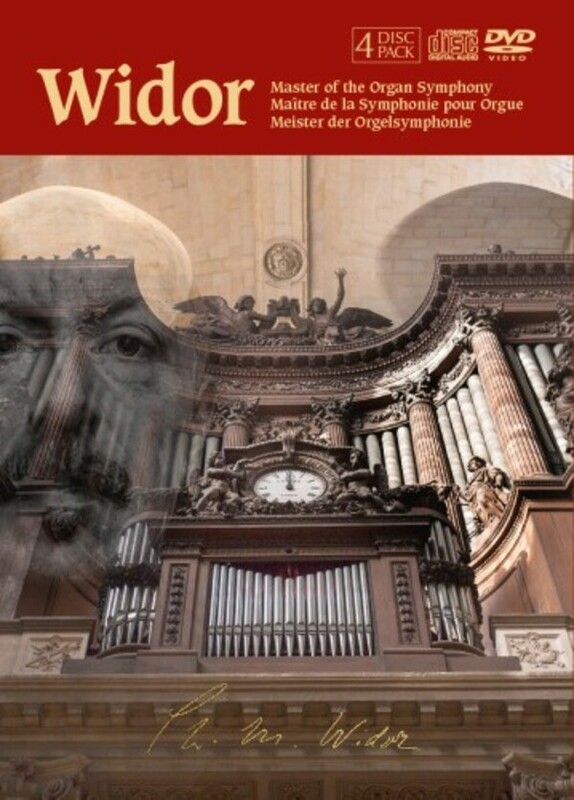 Charles-Marie Widor (1844-1937), the most famous composer of organ music since Bach, wrote ten revolutionary organ symphonies that established the organ as a rival to the orchestra, pioneered the use of symphonic forms for the instrument, and sublimated influences as diverse as Bach�s fugues, Wagner�s music dramas and medieval plainchant into an original musical language. On top of this, his Toccata is probably the best-loved piece of organ music ever written. This boxed set provides a complete portrait of this great composer and includes a three-part documentary as well as performances on CD and DVD of his fifth and sixth organ symphonies performed by Gerard Brooks, plus other movements performed by Daniel Roth, all on the Cavaill�-Coll organs of Saint-Sulpice, Orl�ans Cathedral and Saint-Ouen in Rouen.